Those of you familiar with life hacks may have discovered that there are advantages to having books on a topic, but that e-resources can have their perks! We have both. 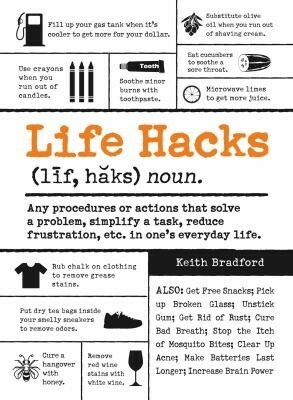 If you’re not familiar with life hacks, they’re a treasure trove of tips, advice, secrets, and little things you can do to make your life better. This book is beautiful and adorable. Fun and versatile topics. 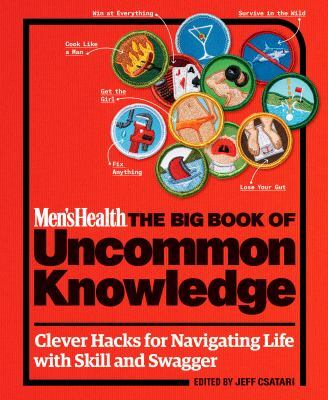 Cool ways to wear a scarf, using fresh herbs in home cooking, and tips for decoding body language. Cute graphics! Not too sure about: Making lipsticks from crayons. But the book, overall, has some nice tips and is visually interesting. Life hack on putting change in a vending machine. Put the smaller amount first, so if it loses your money, you’ve lost less money. The tips are short and sweet. Not too sure about: Some of the tips aren’t something I’d want to try. Like everything, take with a grain of salt! 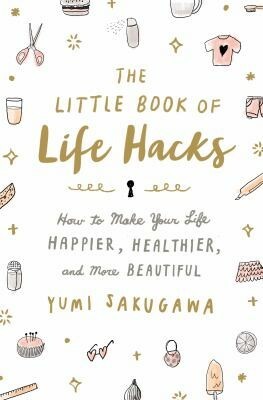 It opens with a good explanation of how stress works, and good advice on curating the information that you see each day, rather than ignoring or drowning in it. Not sure about: How long I’ll wait before putting it on hold for myself, because I want to dive into it pretty darned soon! brought to you by the folks at Men’s Health. What I liked: It’s eye-catching, and there are tips on cracking an egg (the fancy way! ), sliding a beer down the bar, and keeping away mosquitos. Not too sure about: Some of the tips can run the risk of being silly or risqué.